The Poly Tube System from Andros provide drip hose users a dependable and safe method of retrieve drip hose in above and below ground applications. Dependable, because the rugged, yet simple design guarantees uniform performance under a wide variety of operating conditions, and safe, because the unique design allows use of any manufacturers drip hose with a minimal amount of adjustment. Uses tractor’s auxiliary hydraulics. Kit includes speed control valve, hoses, quick and connect fittings for attachment to tractor. All exposed metal components are zinc plated to resist corrosion. Precision bearings in the carrier assembly insure long life, and a tensioning system on the carrier shaft provides gentle tension to prevent overrun at the end of the row. The Poly-Tube Retrieval System mounts to any toolbar using standard clamps. 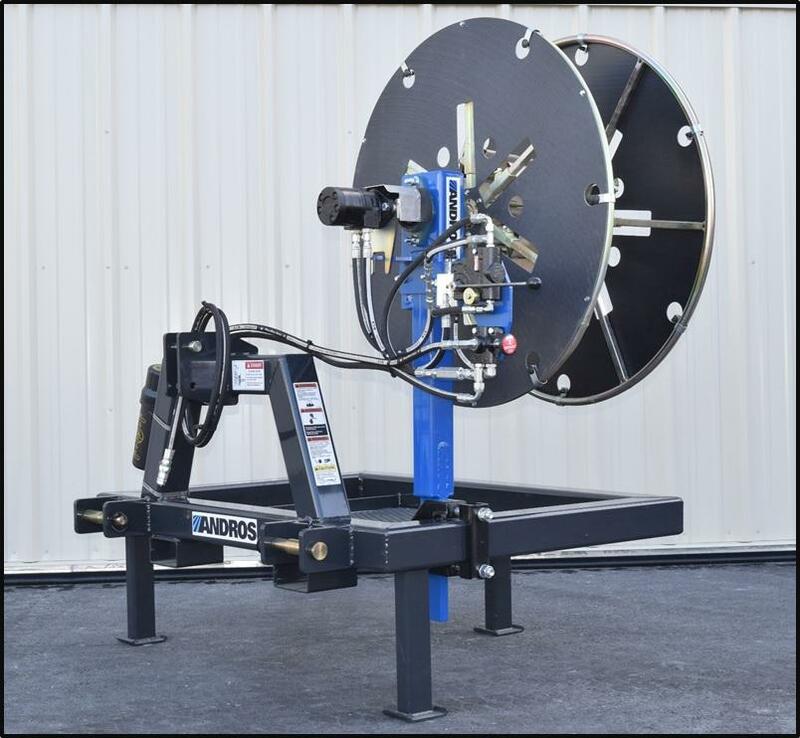 Available with either open or closed center hydraulics, the coil retrieval option can run in single or multiple head configurations using the tractors auxiliary hydraulics. A variable speed control allows the operator to control tension and speed of retrieval. New for 2017, all units will include core dampener rungs, these rungs are design to mitigate bending and tube distortion.